History: Adult male with chest pain. 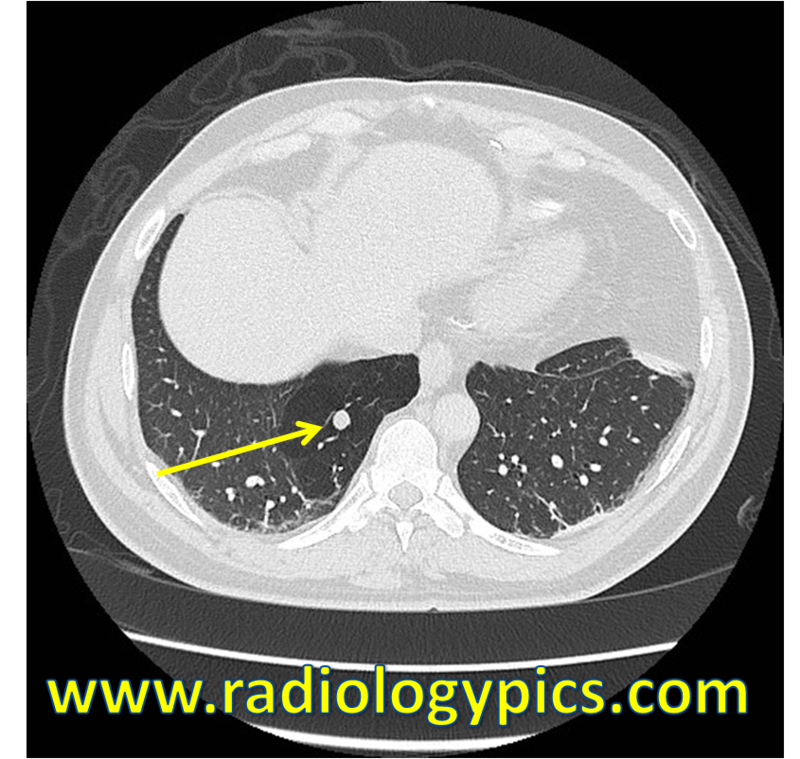 Esophageal Bronchus – Axial CT of the chest in lung windows shows a nodular opacity (yellow arrow) in the medial basal segment of the right lower lobe with surrounding air trapping, which may represent bronchial atresia, however this would not be a typical loccation. See the image below to confirm the abnormality. 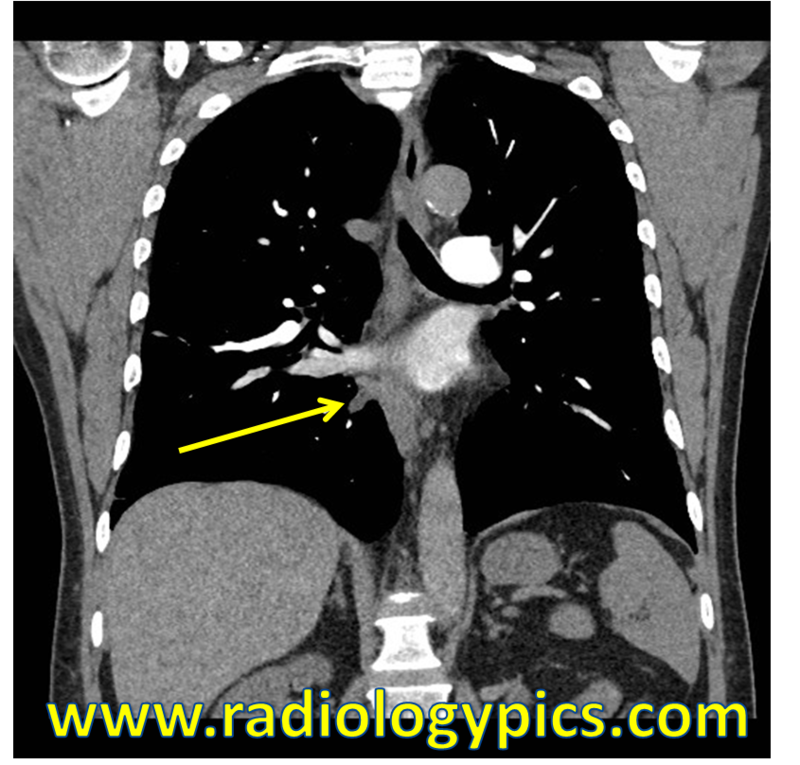 Esophageal Bronchus – Coronal CT of the chest with intravenous contrast reveals an abnormal bronchus arising from the distal esophagus feeding the medial basal segment of the right lower lobe. This is a case of an esophageal bronchus, which is a congenital foregut abnormality sometimes also referred to as communicating bronchopulmonary foregut malformation. An esophageal bronchus typically feeds the medial basal segment of the right lower lobe and puts the patient at risk for recurrent pneumonia in that segment. See this case here where an esophageal bronchus was discovered by esophageal scintigraphy using Tc-99m sulfur colloid.